Mumbai, Aryaan Khan, the eldest son of Bollwyood King Khan, Shah Rukh Khan got injured in the school, when he was playing football with other students. He received serious injuries on his face and the doctors suggested him for having surgery of his face. He is included in the top rated Bollywood actors and he has huge number of fan followers India and around the world. But he is also a father along with an actor and he loves his three children Aryaan, Sohana and Abraham. When he heard the news of the injury of his son, he left the coming IFA Award show and he left for USA to attend his son. The Indian media said that King Khan elder son, Aryaan Khan was playing the football in the school, where he fell in the ground and he received injuries on his face. He became impatient after listening to this news and he took the first flight and set off to California. His son was taken to the hospital after the accident and the doctors provided necessary medical treatment but the doctors suggested that he should get surgery of the face so that his face may not deform. Shah Rukh Khan will remain there during the surgery of his son and he also put back all his signed agreements to attend his ailing son. He also left the coming IFA Awards, in which he has to show his performance. 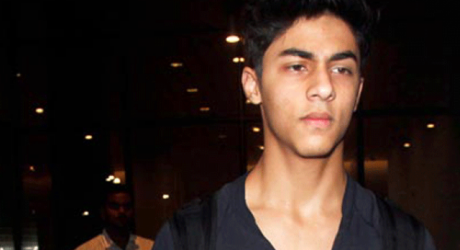 Aryaan is completing his education in America and he is also doing the film making course there. Shah Rukh Khan has great concern with the education of his children.